let give the crown too whom it fits,wande cole u too much and more grace to ur elbow. good for the winners but it would have been more fun for me if the Mr Incredible had won an award. 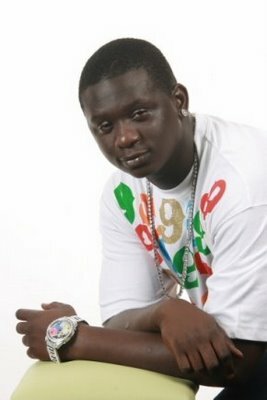 Kudos to MO Hit the awards ……………..
wande coal, u too much!!! na ur tym!! please where are all the artiste on the platform of Kennis Music, Don Jazzy is busy making a kill for the awards, Kudos and I think this would make the musicain do more than they have done so far! Thumbs up to Dagrin for winning the best rap album.I’m sure he’ll be smiling where he is now. producer of the shuld av gone to k solo. hw many sung did jazzy produce apart 4rm his mo hits. una too partial. Dagrin deserves more than one award, but it is okay he was atleast rewarded for his works and wcc u too much. I’m happy dagrin won d award of best rap, coz he really deserves it. How i wish he’s stil aliv he wil he wil hav won more.Resp. 2 u ceo. The yellow carpet at this years awards was not as i had expected(bellow pass if i should rate). In my opinion i think the best video award should have gone to mi’s “safe” for its superb graphical interpretation. Gudddddddd!bt next award winner shld my 1 nd only man in d music industry Mr Endowed nd d cool headed man DONJAZZY.RIP Dagrin Omoogun,Barrackogrin MISS YA. What mode z doin all dis while wen all dis guys are collectin best rapper?ar u guyz sure u are nt doing pacial.anyway for 2010 dagrin deserve the best rapper he collected. bt its very painful z nt there to receive d award himself. RIP my very CEO aka lyrical wayray. It is a pity that awards are not given based on merit in Nigeria. Someone should tell me how on earth Mode 9 is lyrically better than MI. Rap fans out there should listen to Badman (by Mode9) and compare it with Somebody Wants to Die (by MI) or any other song done by MI. How can the HHWA ever live up to the legacy of the Grammy with this kind of blind judgment? Good 2 hearin this kind things.i love niga artist,put more efort.dj kshine.